Free Washer Fluid with the Purchase of an Audi Scrapper. We know it's cold outside and finding your car under all the snow is frustrating. Our February parts promotion is here to make your life a little easier. 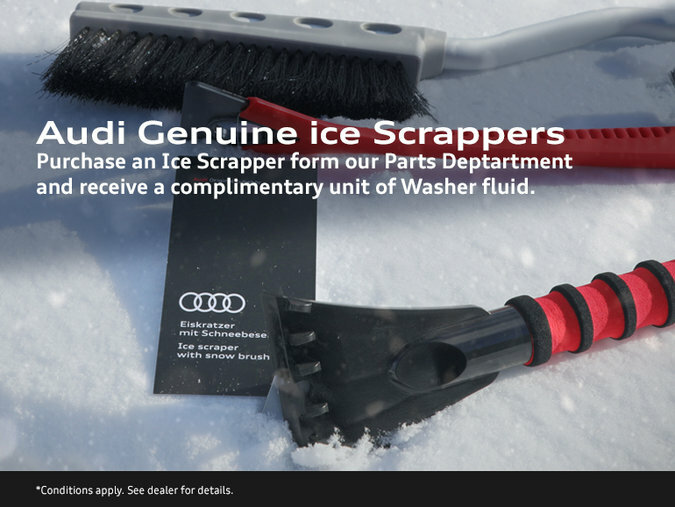 If you purchase one of our Audi genuine scrappers you will receive a bottle of washer fluid for free. * Offer expires Feb 28th 2019. Offer only vaild while supplies last.